Second Kavanaugh Accuser Willing To Testify [VIDEO] - Joe.My.God. 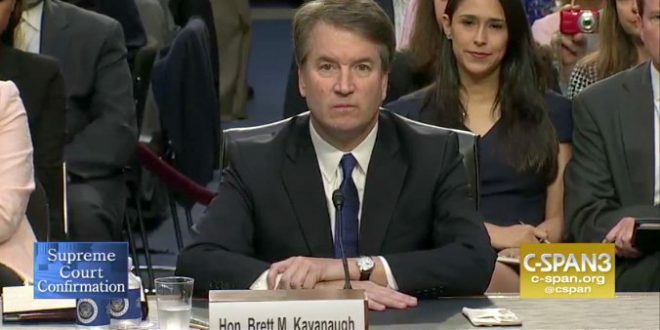 The attorney for the second woman to accuse Supreme Court nominee Brett Kavanaugh of sexual misconduct said Wednesday that the woman, Deborah Ramirez, is willing to testify before the Senate Judiciary Committee about the alleged incident. “She would be willing to testify, but we can’t even talk to the Senate Judiciary Committee about what that would look like, and they certainly haven’t invited her,” attorney John Clune said on NBC’s “Today” show. Clune, who told CNN on Tuesday night that Senate Republicans did not take part in a scheduled phone call that evening to discuss Ramirez’s claims, reiterated his client’s desire for an FBI investigation into her accusations.